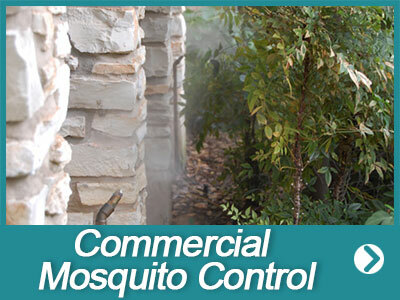 Mister Mosquitoes uses a patented mosquito spray system, manufactured by MistAway to provide you and your property total protection from the nuisance and bite of mosquitoes, no-see-ums, and other biting pests. 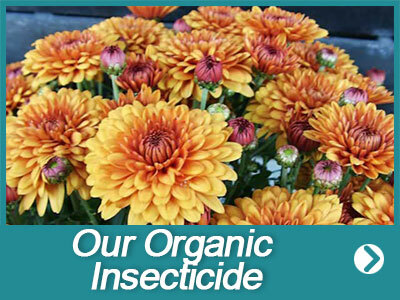 Once installed, our fully automatic and timed system will mist your yard with our botanical, pyrethrum-based insecticide on a preset schedule. 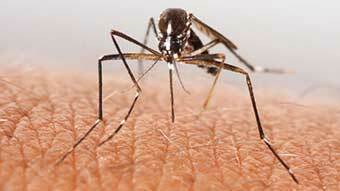 Imagine a mosquito and no-see-um free yard without having to do the work. Using a preset automatic timer, your mosquito spray system is best activated around dusk and dawn when mosquitoes are the most active for thirty-five seconds each time. 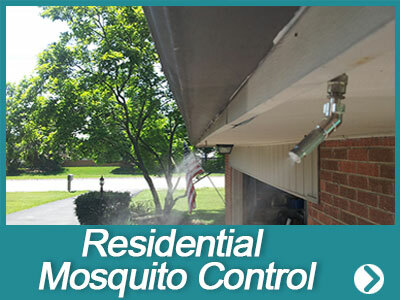 Based on the input from each owner the mosquito control misting cycles can be decreased or increased to maximize the desired effectiveness. 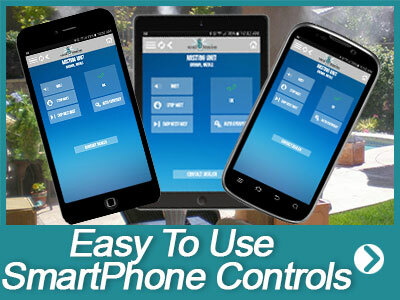 An easy to use remote control or our smartphone app is supplied with every mosquito spray system. 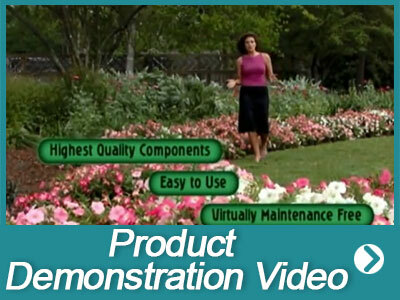 These controls can also be used to set or reset the timing and duration of misting cycles from up to 300 feet away. Planning a special outdoor event and want to ensure a little extra protection? 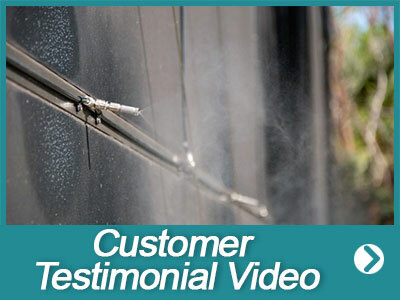 Just use your remote or smartphone to activate and turn on a quick misting spray. The controller also displays when tank levels are low, so you never run out of insecticide unexpectedly. Precision engineered mosquito misting nozzles are attached to a series of pressurized tubing connected to the control unit. 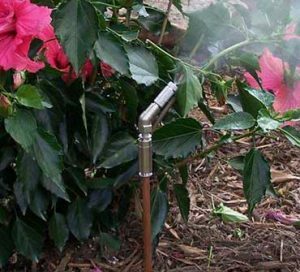 Nozzles are installed about every 10-15 feet around the perimeter of your property; on fence lines, trees and risers positioned in the landscaping for a mosquito free yard. 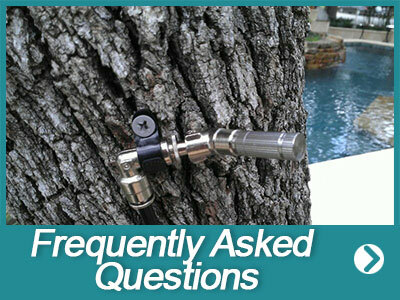 When activated, the nozzles spray a fine mist that drifts around your property and settles on the landscaping and grass, killing unwanted pests like mosquitoes, no-see-ums, spiders and over 130 other biting pests. We can also install zoning kits upon request, which help manage large installations. Like a sprinkler system, two separate nozzle circuits can be installed, and each can have its own misting schedule. 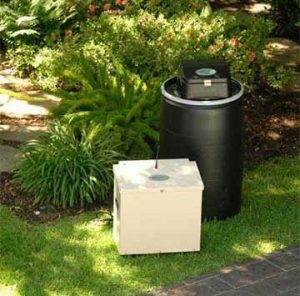 Mister Mosquitoes automated mosquito spray systems are the most advanced systems on the market. Easily blended into your landscape, every system can be customized to fit any property accurately. Don’t let pesky mosquitoes, no-see-ums, and other biting pests prevent you from enjoying everything being outdoors has to offer. “Isn’t it time for your family or business to take back the great outdoors”? 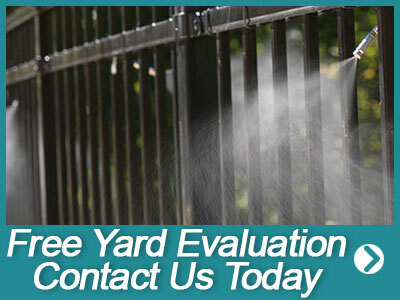 For more about our mosquito spray systems at your home or business complete our online request form or for the fastest response call us today!